Webcam Westport, Washington: WestportCAM - City of Westport - A webcam in Westport, Washington - camera location: WestportCAM - City of Westport. 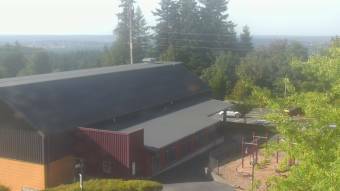 Wishkah, Washington: Wishkah Valley School, 22.1 mi. Ocean Park, Washington: Surfside Estates, 23.6 mi. Oysterville, Washington: Weathercam, 24 mi. Raymond, Washington: Willapa Valley, 26.1 mi. Long Beach, Washington: Beachhouse Weather, 37.3 mi. Astoria, Oregon: US101 at Astoria - ODOT District Office, 50.1 mi. Rochester, Washington: Grand Mound Elementary School, 50.4 mi. Olympia, Washington: Avanti High School, 58.3 mi. This webcam Westport, Washington with the theme Harbors was added on August 30, 2010 and is operated by WeatherBug. It got 3418 visitors since then. Shouldn't this webcam work or should the link be wrong please report that here. You can add this webcam here to myCams.